TREASURED: HONORING PRECIOUS AND VANISHING WORLDS is an exhibition at the Annmarie Sculpture Garden and Arts Center in Solomons, MD that features three prints from my fine art portfolios: Bet Hayyim (House of the Living) and Endangered Historic Houses. The art exhibit opens on June 15 and continues to August 26 2012. 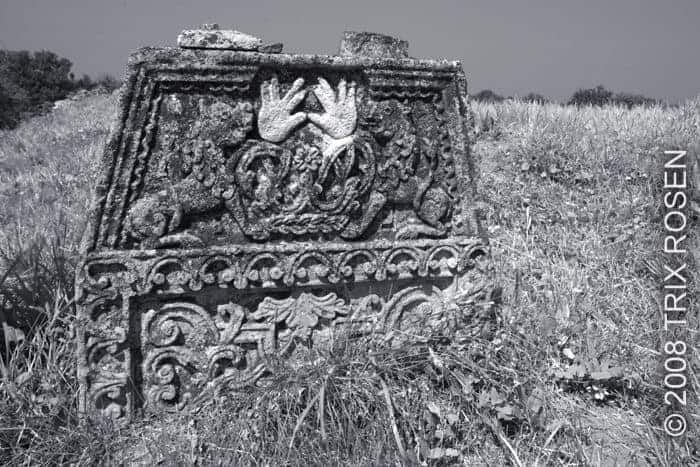 In 2008 I crisscrossed the heartland of the Ukraine to photograph historic Jewish cemeteries and hand-carved tombstones in cities, towns and shtetls. Every site had a story to tell and each stone was an artistic treasure filled with iconographic beauty and mystery. The headstones of the Kohanim, descendants of the Biblical priests, had hands joined in a gesture of blessing. The pitcher pouring water represented the tribe of Levites, the assistants to the priests. Some epitaphs were intricately carved, the stones decorated in an elaborate Jewish script covering the entire surface; others held only the most minimal outline of the Star of David. Other friezes depicted symbols of lineage and gender. 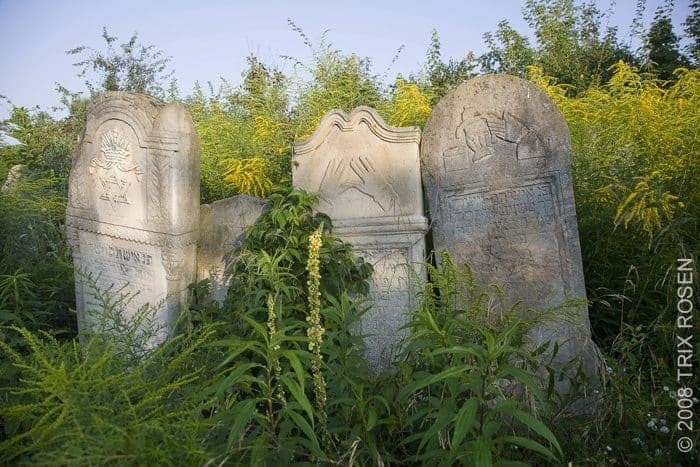 These gravestones, some dating from the 1400’s, depict a visual history of the once vast community of Eastern European Jews, and serve as reminders of the people who lived in this place and died. Less than two years ago the Shoemaker-Houck Farm was in excellent condition, one of the premier structures located within the New Jersey Delaware Water Gap National Recreation Area that is owned by the National Park Service. The front portion of the house was built in 1822 while the rear portion was built in the eighteenth century. This National Register Site has no protection and has now become vandalized. 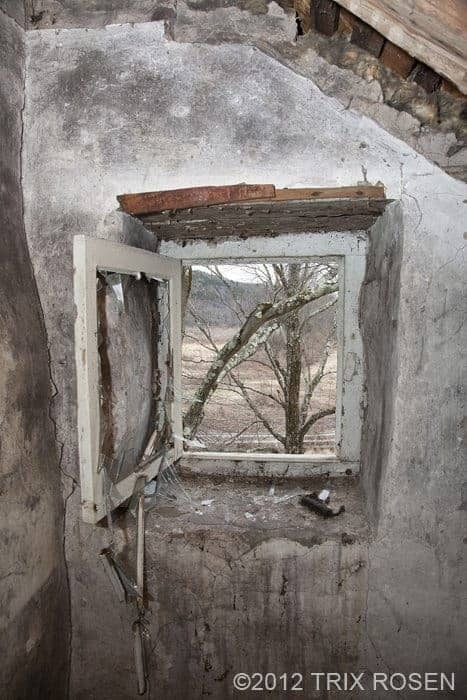 The back door is wide open and window glass is missing, sadly revealing the ruins of neglect. These scarred elements are key to understanding the rural development of northwestern New Jersey and the significant role that area played in American history. I am drawn to the timeless nature of historic architecture because it is a repository of collective memories – a record of our heritage, the builders and the people who once inhabited these spaces. There is an urgency about what I photograph because each derelict site is a reminder of our inadequacy as cultural stewards. I look to the architectural details, to the deeply etched memories in the stones, the walls and the structures as a window to remembering our past. As usual the photos are amazing. Love it! Trix, As always I was moved by the beauty of these shots and the way that they capture the former life of a place and people. I’m someone who treasures the early years of my own life and so any portraits that recreate a history will resonate for me, and yours do it so well! The last picture above, ‘Shattered Spaces’, is one of the most perfect compositions I’ve ever seen: such beauty in neglect and ruin. Marvelous work! Shattered Spaces is an extraordinary capture of the spirit of a once loved dwelling. Even in its neglect and decay there is a yearning toward beauty. Beautifully done and powerful. Great work Auntie!